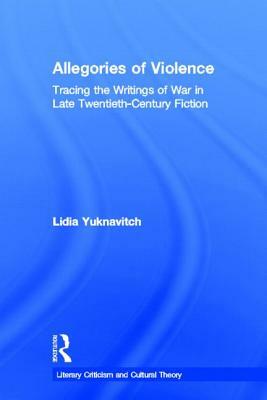 Allegories of Violence demilitarizes the concept of war and asks what would happen if we understood war as discursive via late 20th Century novels of war. Lidia Yuknavitch's work has appeared in the anthologies Representing Bisexualities (NYU Press, 1996) and Third Wave Agenda (University of Minnesota Press, 1997). She also writes short fiction and is the author of two short story collections. Her work has appeared in dozens of journals and magazines, including Ms., The Iowa Review and Gargoyle. She currently teaches literature and fiction writing at San Diego State University.